Each issue is packed with Dog Training Tips and Friendly Advice to help you make the most of your relationship with your best friend. You will qualify for Special Offers and Discounts, available only to newsletter subscribers, to help you save $$$ on dog training courses and products. 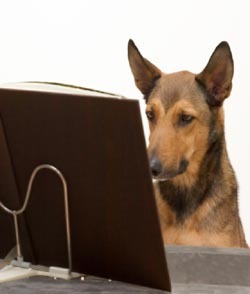 Stay in touch and keep updated with Seminars and Workshops offered by Urban Dog Training. Get Unrestricted Access to our FREE Training Articles and Information, updated regularly so you can stay informed. We value your privacy and promise never to sell, rent, trade or give your email address to anyone. Of course, you can unsubscribe easily at any time. Click here to unsubscribe from our newsletter if you are already a member.